I want to write an in-depth thing here, but I can't really do that tonight, having spent over two hours just preparing the visual parts of the thing and with church in four and a half hours. I've had two hours of sleep, with no chance of more until I dump sufficient words into this entry. So let's get an introduction going, and I'll try to revisit the subject with something approaching profundity some other time. This particular train of thought started on Twitter, or, taking the long view, on AOL Mail, or, slightly longer view, on the Outpost, or very long view, on television in the 1970s and 1980s. A few days ago in this blog I mentioned science historian James Burke, whose Connections series of shows and series The Day the Universe Changed led years ago to my buying some of his books and even a Connections computer game. In preparing the entry I checked transmission dates on Wikipedia, imdb, YouTube and elsewhere via Google, and found a Burke-related site that didn't turn up the last time I Googled him. 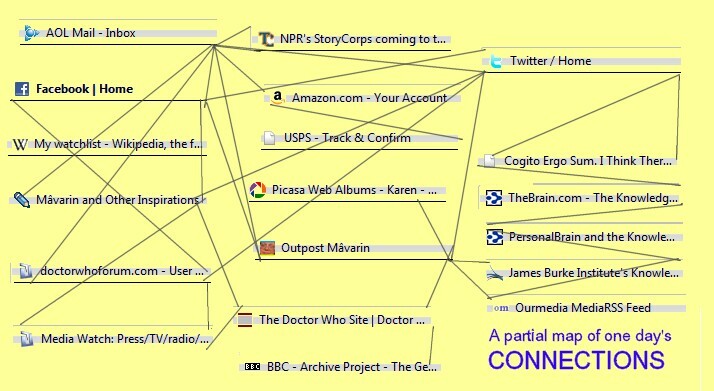 All these connections between web sites led to my explaining a little bit about his work, which is fundamentally concerned with a connective view of innovation. 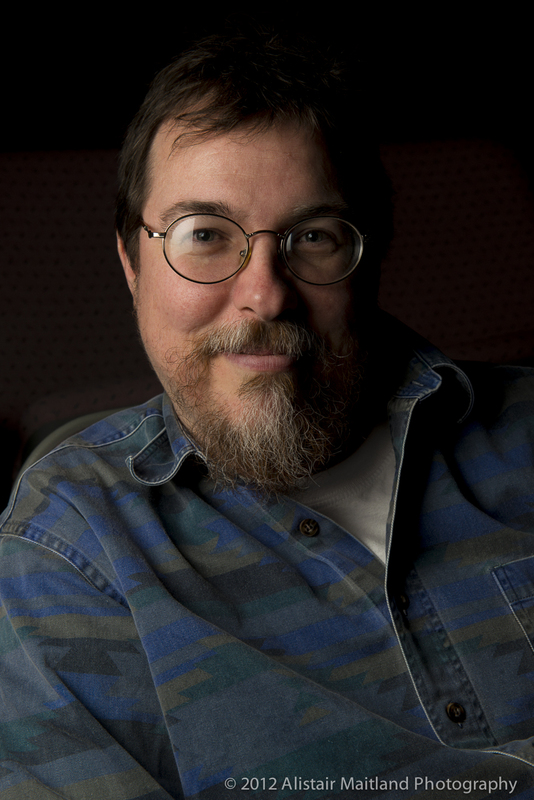 Burke loves to show how seemingly disparate people, events and ideas interact in unexpected ways, increasing knowledge and creating change. Part of his thesis is that you need a macro view of what Douglas Adams called "the fundamental interconnectedness of all things," as opposed to a "reductionist" view of knowledge that causes more and more specialization, so that individuals "know more and more about less and less," and can't effectively disseminate their ideas outside the silo of their specialty. 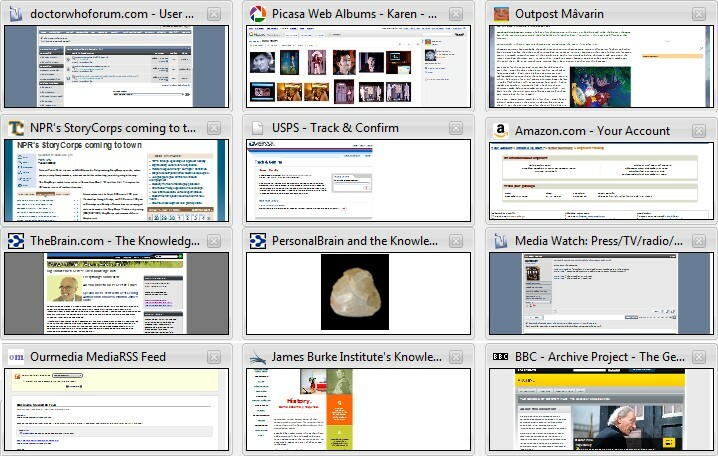 Some of my open tabs tonight in Firefox, including several James Burke sites. Well, anyway, because whatever I was ranting about that night reminded me of James Burke and I worked him into the entry, I ended up using the title of one of his books / tv shows for the entry title, which I then promoted on Twitter and Facebook. The next day I got AOL mail informing me that a James Burke enthusiast was now following me on Twitter. I followed him on Twitter, which led me to still more Burke links. 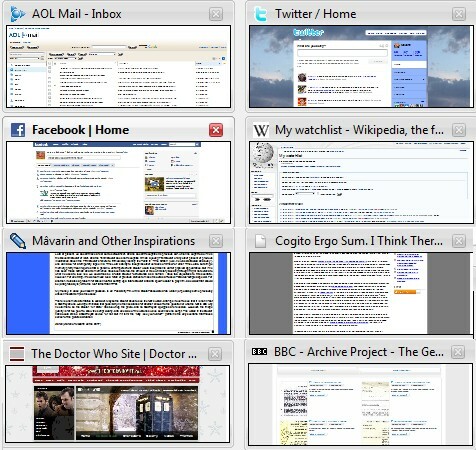 More open tabs, including a web of Doctor Who resources. Another thread of ideas I followed around the web today started, on the Doctor Who blog Planet Gallifrey. I happened to see the beginning of the entry on my revamped Outpost sidebar, read it, and left a comment. 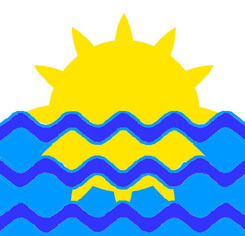 I subsequently revamped my sidebar further with a cities-and-flags visitor counter I nicked from Martha while making the rounds on two or three different memes. The counter isn't perfect; it thinks I live in Phoenix and can't narrow down the point of origin of some folks beyond "United States" or "United Kingdom." But I was pleased to see a number of UK cities pop up overnight, and got to worrying that they were following the link from the Who blog comment to the Outpost, only to be disappointed by the lack of Doctor Who speculation in this blog. So I spent and hour or two writing up my thoughts on the subject of this year's Doctor Who Christmas special, which has a character called "The Next Doctor" in the episode title. Fans are feverishly considering each emerging detail about the upcoming story to try to figure out who the heck he is. My in-depth hypothesizing on the subject on my LiveJournal (so as not to overburden you folks with esoterica) was rendered slightly obsolete later in the day, when a link on the Doctor Who Forum led me to an article with a quote that makes the possibilities even more confusing. The article also led me to the official BBC Doctor Who site, from which I found a link to BBC archived copies of early typed documents from 1962 and 1963 that led to the creation of the original tv series. Amazing stuff! And that's not even counting the back and forth between the Outpost and blogs of Round Robin participants, and the ideas that inspired. Or the fact that my pastor at St. Michael's was experimenting with Twitter, so I recommended the Dean of the Episcopal cathedral in Phoenix as someone to follow, who immediately started following both of us! Connections between my open tabs. Now, none of this results in a cure for cancer or a better way to travel to Mars, a plan for making Detroit car companies viable, or even a job offer for me. The knowledge gained from the day's browsing is essentially trivial, except what I absorbed from two James Burke screencasts. But it does show in microcosm some of what Burke is talking about, the serendipity of ideas connecting across space and time. Web 2.0 enables us to learn more and more about more and more, not just about less and less, and can help to spark new ideas and innovations. Or it can just be a pleasant waste of an evening. My fairly specialized interests led me in several directions on this particular day, but they could have ranged much further. Why do the heathen rage? Obama is the antichrist and this world is doomed! The return of the Lord Jesus Christ is at hand!! Whoever posted this ill-informed bit of paranoia has a right to do so on his or her own site, assuming the video (which I didn't look at) doesn't violate the DCMA or advocate assassination or treason. But there are people who believe such things, and it's unhelpful to the stability of the country and the world. The Web should be used, in part, to expose people to factual information and encourage rational thought, overwhelming ignorance with a flood of knowledge. Enough. I've gotta go to bed! It's Round Robin time! This week, Steven is going with a theme that links into what many of us in the U.S. were doing this week. 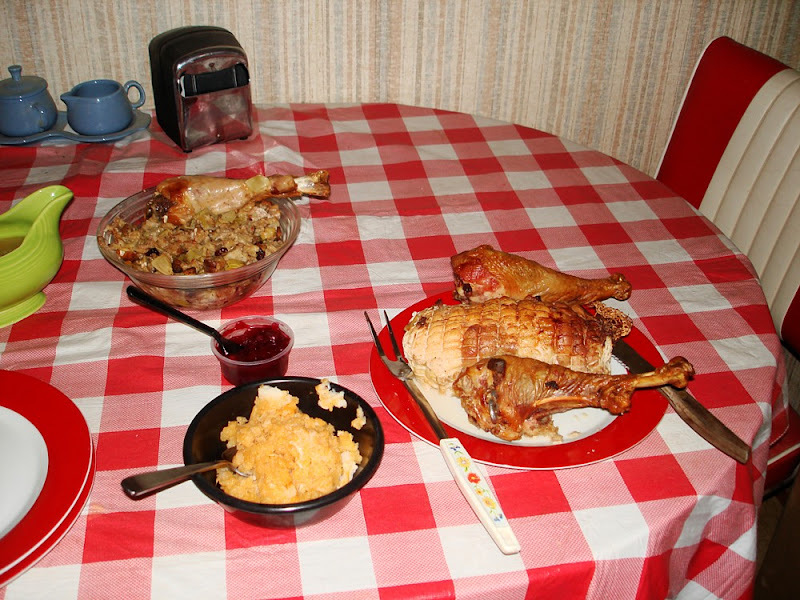 Yes, it's the post-Thanksgiving edition of the Round Robin Photo Challenges, "On My Table"! As it happens, my entry for this week's Ellipsis Monday Photo Shoot covered the pre-Thanksgiving preparations for filling my table with turkey. That was Step One: shopping for the turkey, rutabagas, chicken broth, cranberry products, potatoes, yams, milk, and I-forget-what-else. That last bit is the problem, actually. I don't know about you, but it usually takes me about four trips to the store to get everything I need. I could make a list, but where's the fun in that? Step Two: rutabagas. 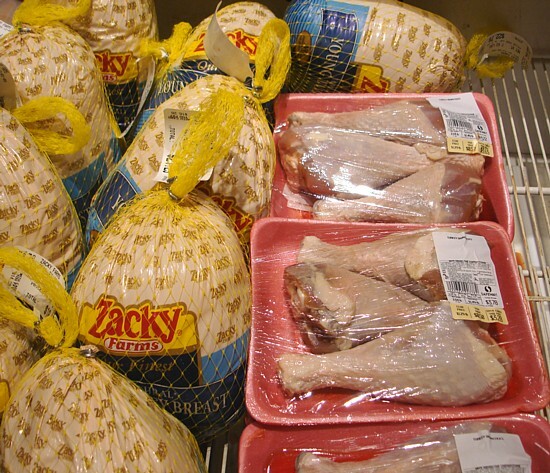 The one in the middle is partially peeled. Cooking for Thanksgiving started late Wednesday night, or you might say very early Wednesday morning. 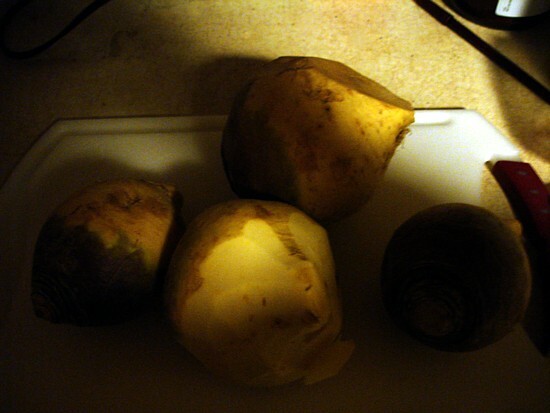 It was some time after midnight that I started peeling the rutabagas. This somewhat obscure vegetable, which I've written about repeatedly in the past, was to be my contribution to the post-Mass Thanksgiving pot luck at St. Michael's. Okay, the first one is peeled - but almost impossible to cut in half! Peeling the rutabagas was no problem this year. I got nice big ones from Fry's (the ones at Safeway were small, greenish and frail-looking), and they weren't waxy as they sometimes are. But cutting them in half for faster cooking was a major issue. 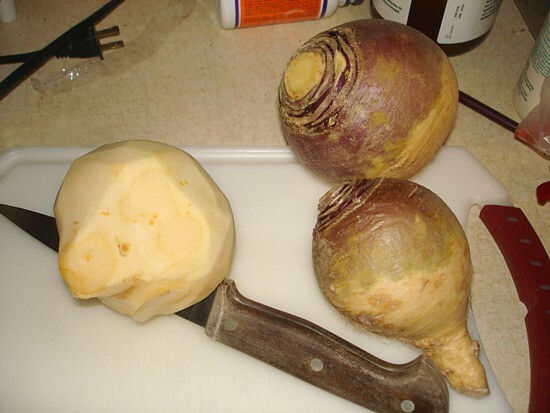 The knife just would't cut through the whole thing, even if I worked my way all the way around the rutabaga at the edges. At one point the knife got stuck in the thing. I held the knife with the suspended rutabaga completely disinclined to fall off it. 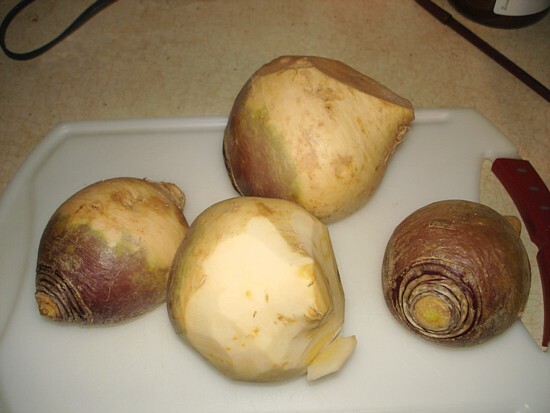 Eventually I microwaved the rutabagas to make them easier to cut. I should have nuked them longer, because the cooking took hours before they got really tender. I went to bed at 6 AM. Step Three: St. Michael's Thanksgiving pot luck. Parishioners loved my rutabagas! Mass was at 10:30 AM, followed by the pot luck. 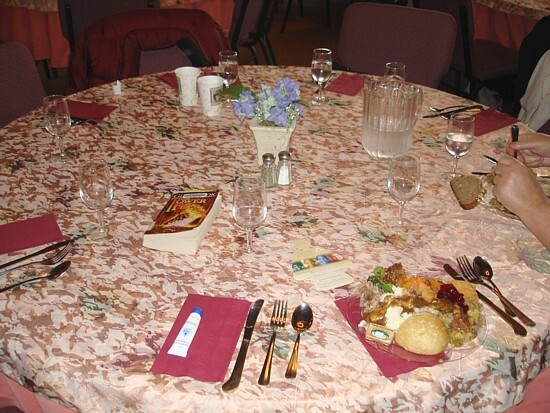 Nancy, the parish secretary, worked with her husband to prepare the turkey and organize the contributions. (I gather he was in charge of the bird, Nancy in charge of everything else.) For a while a number of us were reheating food and getting it onto the buffet with appropriate utensils. Mr. V. had not yet arrived with the bird when I saw people helping themselves to my rutabagas. I heard several expressions of pleasure that rutabagas were provided, and there was very little left for me to take home afterward. 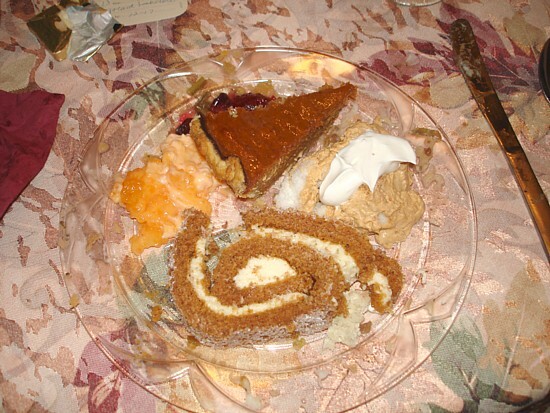 Mandarin orange compote, pumpkin pie, pumpkin trifle and pumpkin roll slice. A particular joy for me was that I got two more "pumpkin anything" items for my life list of pumpkiny foods tried. The pumpkin trifle was excellent, the pumpkin cake roll just okay. The pumpkin pie slice I got for comparison was darker and more caramelized than I usually see. Reverend Carey Womble is dressed for the occasion. I have to show you Father Womble, age 90-something. 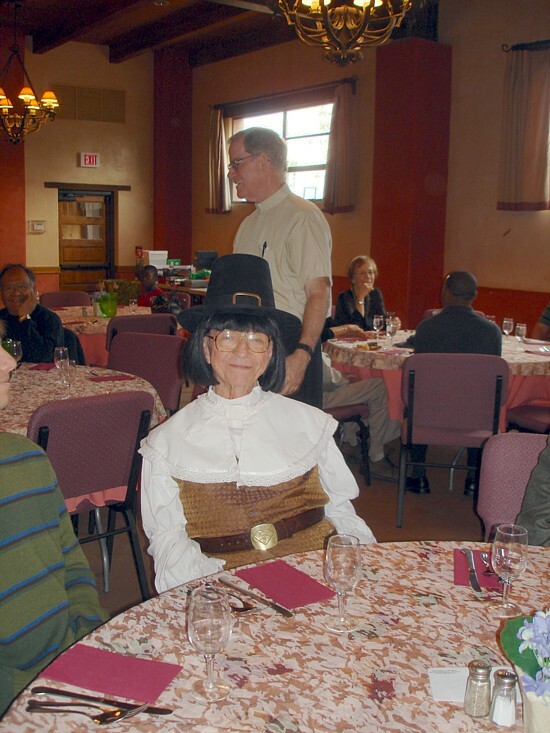 He dressed as a pilgrim, joking at Mass about "appropriate vestments." Step Four: prepare the turkey. Hard to make it look "real" with three legs! Back home afterward, I took a break and then started on the turkey. 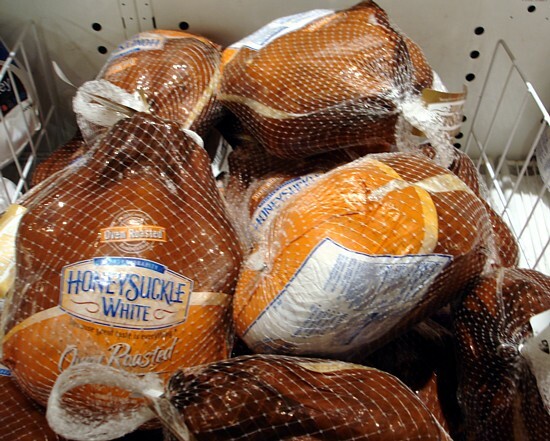 As I had told someone from the Safeway meat department, I intended to arrange my drumsticks around my turkey roast of mixed white and dark meat to resemble a whole turkey as much as possible. But I had failed to notice that I had three drumsticks, not two. A three-legged bird? Uh, no. It came out pretty well, though! 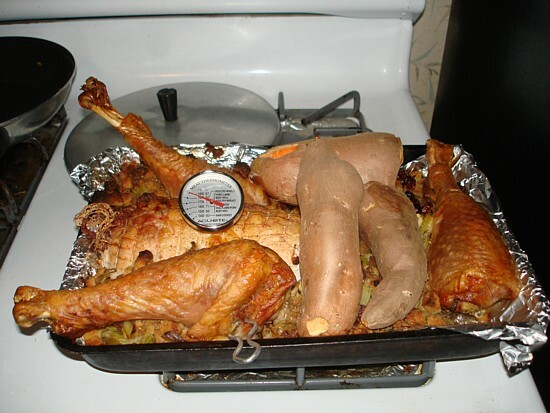 Because of the drumsticks, I set the oven for a temperature in between the 325 degrees F called for on the roast's directions and the 450 called for in The Joy of Cooking, and adjusted as I went along. I also held out for the whole bird temperature on the meat thermometer instead of the lower temperature for a turkey breast. It was done in an hour and forty-five minutes, a big improvement over past years when the roast took an hour longer than the directions claimed it would take. Step Five: on the table. After all that work, it doesn't exactly look like a feast! John cleared the mail, his backpack, etc. off the kitchen table. I wiped it off and set up the meal, buffet style. I was disappointed how sparse it all looked. Really, though, that's a lot of food for two people, with carefully-chosen scraps for two desperate dogs. relish and what's left of my rutabagas, with a smidge of mashed potatoes. 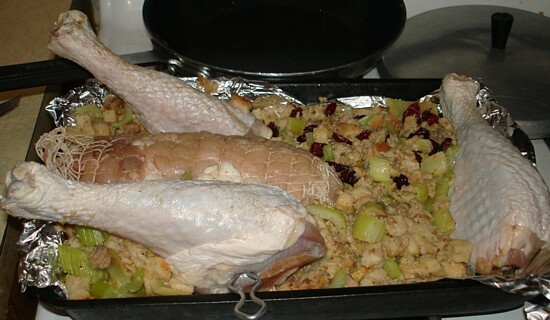 And here's what we end up with: my mom's old sausage stuffing recipe, minus the onion and raisins but with craisins in part of it (John doesn't like to mix meat and fruit), my unreasonable facsimile of a full-sized turkey, and the paltry leftovers from my rutabagas for church. 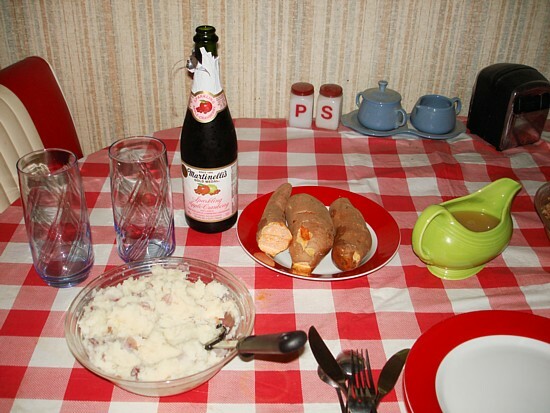 At the other end of the table were my festive non-alcoholic beverage, baked yams (who needs marshmallows? ), gravy from a jar, and mashed potatoes complete with skins, because they're more interesting and nutritious that way. 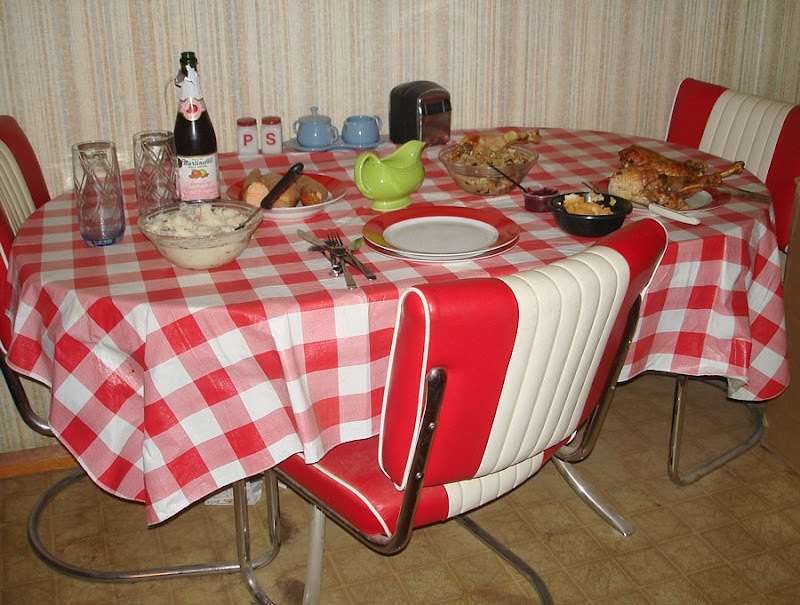 John doesn't like sit-down dinners, or our stylish but flimsy kitchen chairs from Sears. So we ate in the den, watching Rex Harrison and Anthony Newley in Doctor Doolittle. Good times! Overall it was a fairly low stress day, a world away from my 2002 Thanksgiving horror show. May every Thanksgiving be at least as successful as the 2008 edition! Now let's go see everyone else's tables. I suspect there will be turkey on a few of them! Terri ***Welcome new member! *** - Posted! And how about you? Have you showed us what's on your table yet? Weekend Assignment #244: The day after Thanksgiving in the U.S. is widely believed to be the biggest shopping day of the year. 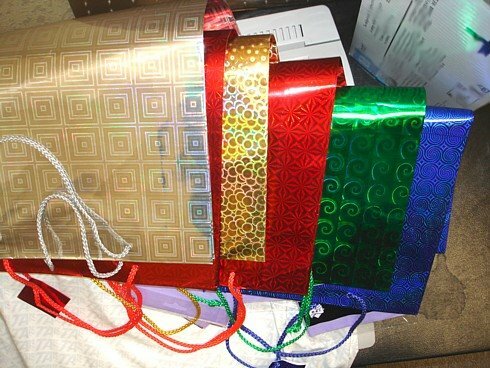 Do you typically shop for holiday gifts on that day? If so, why? Is this year any different in that respect? Extra Credit: Is there a particular bargain you are pursuing this year? If so, what is it? Shopping patterns have probably changed in recent years, with many more retailers offering loss-leaders and other deals on Black Friday than they used to, providing an incentive to start shopping on that specific day. But for many years, it seemed to me that most of the crowds were on the last Saturday before Christmas, and on up until the stores closed on Christmas Eve. I suspect that I would see more shoppers on Black Friday now (well, maybe not this year) than I did in my record store retailing days, but 20 years ago that was the dynamic. This year, I know pretty much for a fact that I won't have a job until Boxing Day at the earliest, and possibly not even then. If I get the position I'm up for, there will be a delay in my actually starting work. But if I get that good news, I will probably buy a modest number of gifts for John, my dad and brother and stepmother and put them all on a credit card, and feel guilty about it, and pay them off ASAP. If I don't, that plan will be scaled back. But even if I get the job offer on Black Friday itself, I'm unlikely to buy anything on that day. That said, I know that John is planning to buy himself a present on Black Friday. He's been limping along for years with an early iPod that doesn't work very well, and doesn't seem terribly compatible with recent Mac operating systems. Friday there's a one-day sale on recent models, and he's been debating between a low-feature, high storage model and an iPod Touch. I've wanted to give him a new iPod at every Christmas and birthday for the past two or three years, and it looks as though he's finally going to give in to spending the money. But he wouldn't do it if there weren't a deep Black Friday discount*, and if he weren't expecting a decent bonus. I don't get the pleasure of buying it for him, but I'll live! After all, I bought myself the Doctor Who Series Four DVD set this month. *Turns out it's not so deep, and he's dithering. Well, there's a matter of what I like to eat, and what I should be eating. Most mornings it's the latter, meaning a bowl of "good for you" cereal. High-fiber, low-sugar, that sort of thing. And let's not forget the coffee. I used to not be able to stand the stuff, but I learned to like it about a decade ago. My contribution to both is my super easy, unbelievably delicious, and very inexpensive recipe for Monkey Bread. It's great for a yummy holiday treat, but easy enough to make anytime! My all-time favorite breakfast is a bagel and cream cheese with the Sunday NY Times. When we lived in Brooklyn, this was easy -- you could pop down to a nearby bagel store in almost any neighborhood. In Rhode Island, we have to make do with Dunkin Donuts bagels and the Boston Globe. But we still do it most weeks. Rest of the time I either skip breakfast or have a bowl of Raisin Bran. Within the last year, I've become a regular oatmeal eater despite my undying affection for cold cereal; it stays with me longer, which is desirable since I eat breakfast around 6:15 AM and I try not to break for lunch before 1:00 (a later lunch leaves less of the workday to get through after it), and those packets provide built-in portion control. I do mix some cold cereal - and fruit, when strawberries are available - into my oatmeal to make it a little less boring, though. I'll start on my coffee during breakfast, but it comes with me on the way to work, and I've usually finished it by the time I get there. To be honest, I'm not much of a breakfast person. Mostly because I am too lazy to get up early enough to eat breakfast. If I am working, I get up with just enough time to shower, shave (maybe), get some lunch together (again, maybe), and head out the door. Any extra time that I think I might have in the morning is spent in bed. I work out calculations in my head as the alarm goes off to see how many times I can hit snooze before I definitely have to get up. That's it for now! Busy as I'm sure you are, what with the shopping and all, I hope you'll take the time to participate this week. Write about up the assignment in your blog or journal, and include a link back here. Then leave a link to your entry in the comments below. Please don't forget your links! I'll be back in a week to highlight the results. A reminder: I'm still running low on ideas here, so I need your input. What would you like to see as a Weekend Assignment topic? Email me your suggestions (mavarin at aol.com). If I use your topic you'll get full credit and my undying thanks. My grandmother picks strawberries at Windswept, circa 1950. As far as I know, my maternal grandmother's only living relatives at this point are a cousin I've never met, my brother and myself. She was not an especially cuddly, doting grandmother, but I got along with her pretty well as a child. She was a bit of a rebel and an adventurer, a modern woman of the 1940s, more or less. I wish now I knew a bit more about her. She moved away from DeWitt, NY circa 1968-1970, just as I entered my teens, so we never really had anything like an adult conversation. 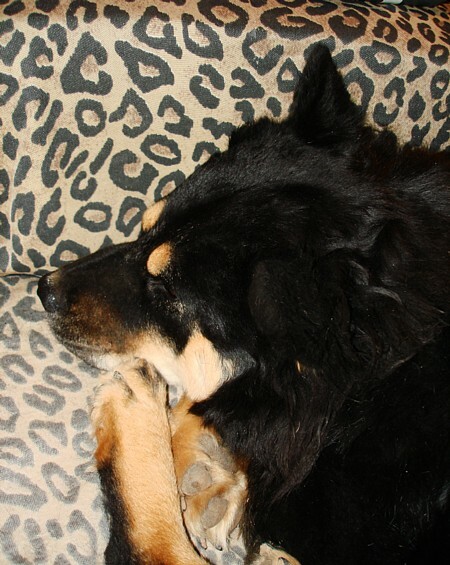 I was thinking about her today as I chatted in the dog park with a woman who was a feminist of the 1960s. She said she grew up watching 1940s films in which women went out and did things and had romances, unfettered by parents or children. Think Katherine Hepburn, but she named several other major actresses of the day, who "weren't especially pretty" but were strong, adult characters. That was the impression of adult life my new friend grew up with, only to encounter something very different when she got there herself. "I saw all my friends rushing into marriage and children," she said, "and it didn't seem right to me. That's supposed to happen at the end of the movie, not at the beginning." Welcome to the baby boom. My friend went her own way, traveled, had a career, and eventually got married. Twice. 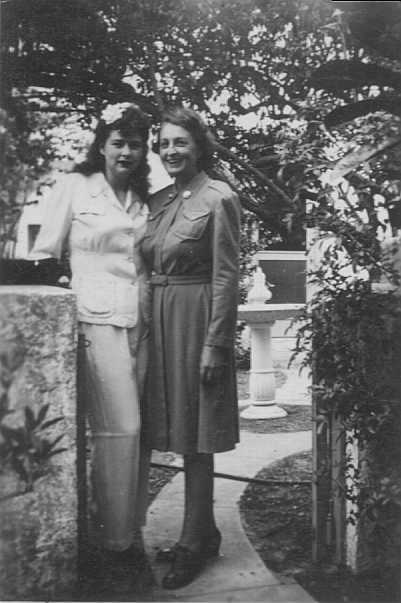 The two Floras, circa 1940s. Flora Missellier DuFour was born June 28, 1895 in Stratford, Connecticut, the daughter of Charles Edwin DuFour of New Haven (Jul 27 1867-Feb 6 1950) and Mary Adelaide Beardsley (dates unknown). She married Ambrose Alexis Johnson of Scranton PA (Sep 12 1891 - Aug 18 1950), with whom she had her two children, Flora M. Johnson and my mom, Ruth Anne Johnson (originally Ruth Louise Johnson). As a small child my mom, who looked a bit like Shirley Temple at the time, tap danced in the street and was given money by strangers, much to her parents' mortification. 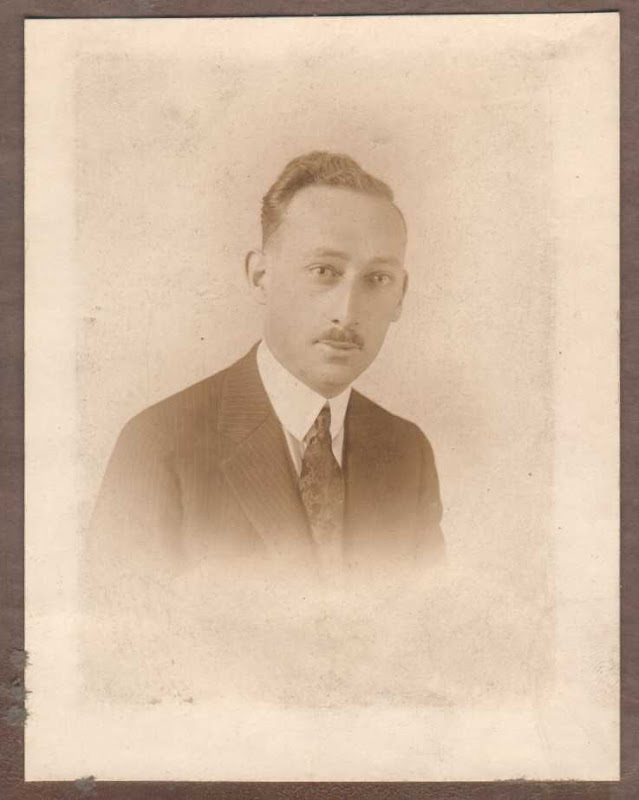 Ambrose Johnson owned a small machine tool company, for which the elder Flora was Vice President. The two daughters also helped out in the office. There may have been trouble in the family even then, though, because I'm not sure Ambrose was around when Flora and her daughters lived at Windswept, a farm in Tully, NY. Mom told me that sometimes other farmers would bring them vegetables to eat. Flora and her daughters picked their own strawberries. I gather that my mom and grandmother didn't get along very well, but I only have the vaguest idea why. he tried to bribe my mom not to get married. A member of the Democratic Party, Flora ran for the Congress of the United States in 1940, the first woman in the history of Onondaga County, NY to do so. She was successful up to a point, becoming the Democratic nominee for Representative at Large. According to The New York Times, Eleanor Roosevelt was scheduled to attend a reception and tea at the Hotel Astor in her honor on September 24, 1940. But Flora lost in the general election, reportedly due to personal scandal - which is to say, the local newspapers reported she was having an affair. She got a divorce from Ambrose (a Roman Catholic) in Reno in 1943, and in 1944 she married Thomas Ballantyne. Ballantyne had this second marriage annulled in 1948, and the court ruled she was still married to Johnson. Ambrose Johnson died of cancer two years later. Flora retained the name Ballantyne on correspondence for decades thereafter, but finished her life as Flora D. Johnson. Flora in her officer's uniform, probably well after the War. 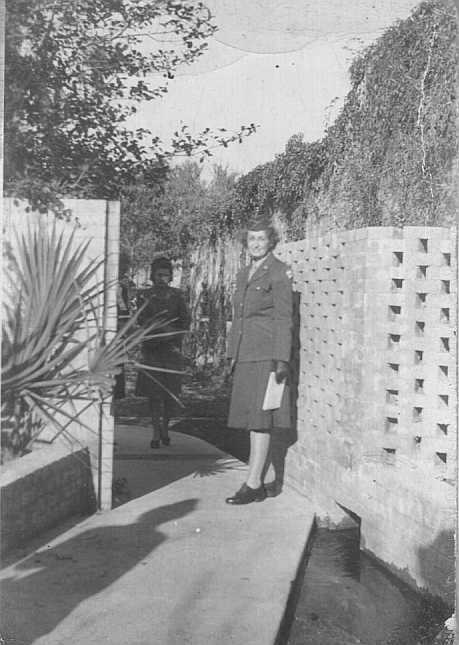 It must have been shortly after her run for Congress that my grandmother enlisted, becoming an officer (a WAVE or a WAC, I don't remember which) in World War II. After the war she was a licensed real estate broker in Dewitt, NY (1950s-1960s). My Aunt Flora, a civil engineer, lived briefly in Guam, got pregnant, came home to live with her mother and gave the baby, my cousin Vereene, up for adoption in 1954. (I'm not sure of the order of events, where my Aunt Flora got pregnant or when she moved in with her mother.) At some point after that, my aunt worked on the Interstate Highway System. Once she was single (and possibly before that) my grandmother frequently visited Europe, especially Venice, where she once shared a flooded hotel with playwright Thornton Wilder. She brought back a fair amount of Venetian glass and jewelry, very little of which remains among my mom's effects. Sometimes my aunt was with her on her overseas adventures. I remember the two Floras as living together at the end of a street in DeWitt, near Clark Real Estate and not far from Grandmother's favorite place to eat, Howard Johnson's. I remember visiting overnight once, and Grandmother made me lumpy Cream of Wheat, which I loved. (I upset my mom asking for lumpy Cream of Wheat thereafter.) For Christmas one year she gave me a drink and wet doll, which I didn't care about because that was the year I got Chatty Baby. Around 1965 she gave me her 1941 printing of Winnie the Pooh and an 1868 book called The Cricket's Friends. She kept dog biscuits for the cocker spaniel next door, which tied me to a tree one day by running around and around while I cried out for help. 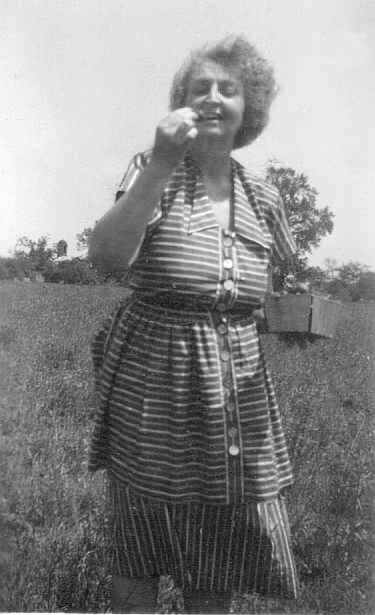 She took me to Tully once to pick strawberries on what remained of her land there, which by then was heavily overgrown. On the way back we ate at a diner, possibly my favorite restaurant at the time, the Orville Barbecue. That's when she introduced me to ice tea. And that's pretty much the extent of my memories of her. The two Floras moved to Fairfax, VA in the late 1960s or possibly 1970s, where Aunt Flora continued her career until health issues forced her to retire. They moved to Cocoa Beach, FL (1977-early 1980s). My grandmother had a series of pacemaker operations in the 1970s. She died in Florida on July 6, 1984. I have questions now that can't be answered by paying $3.95 each for PDF copies of old newspaper articles. Was she a New Deal Democrat? It seems likely, and good for her. It doesn't sound as though she was much cut out to be a wife and mother, although the two Floras got along well as mature adults. What was the issue between her and my mom? Why did she risk a seat in the House of Representatives by getting involved with another man? Why didn't she and Ambrose get along? When the the family live at Windswept, and was Ambrose with them at the time? I had hoped to jump in tonight on Martha's new photo meme, "Strange Shots," but nothing much is jumping out at me in my archive. So here's a down payment on that, with hope that I come up with better stuff later, preferably after sleep. Cayenne has no head! Pepper doesn't want to look. 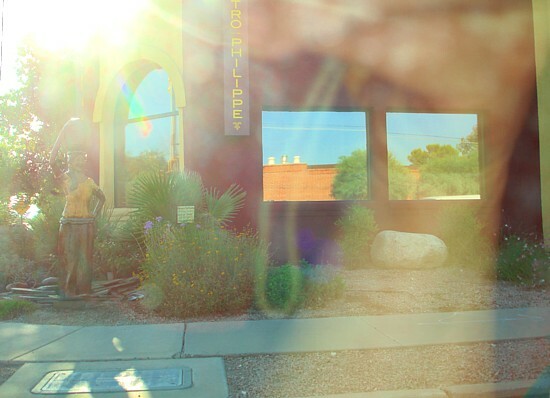 This shot through the car window came out pleasantly wonky. I seem to meet dinosaurs fairly often. This shot is unedited except for size. The big news at 6:30 AM Tuesday was that I lost my phone. Disaster! 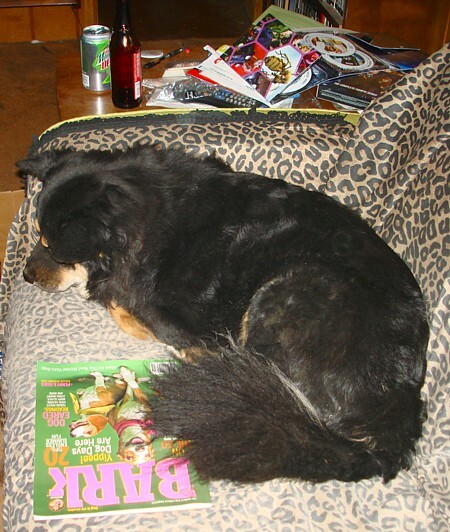 I had only been to the dog park and Safeway, but I searched the house and the car to no avail. John dialed the number, twice, in the hope we would hear it ringing. He got a busy signal the first time, dialed back, and let it ring until my voicemail picked up. No sound in the house of a ringing phone. Arrgh! ...and there it was, upside down on the floor on the driver's side. But I had looked there! Really! But at least it turned up eventually. I had been about to go to bed when I failed to find it, but was too upset afterward to go to bed for two more hours. When I was awake again, I called my recruiter about last Friday's job interview. There is no definitive answer yet, but it's looking good. There's a licensing rigmarole to go through because of the specific industry (and no, I won't name the industry if I get the job), but I hope to be gainfully employed by the end of December. 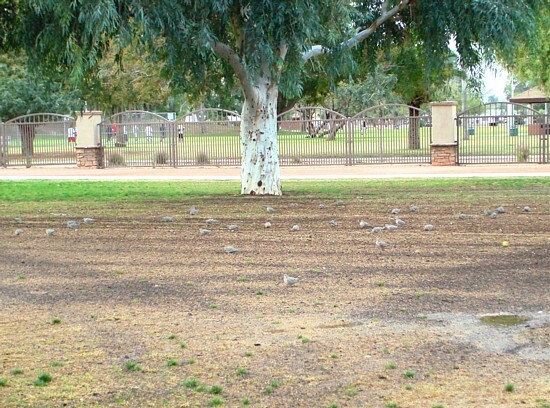 Pigeons eat the grass, alas. And here's a semi-strange shot by way of an update on the current attempt to make the blocked off half of Miko's Corner Playground dog park greener. They've been soaking it for a week, and now I think they've added grass seed. At least, that what I assume dozens of pigeons and mourning doves are feasting on! 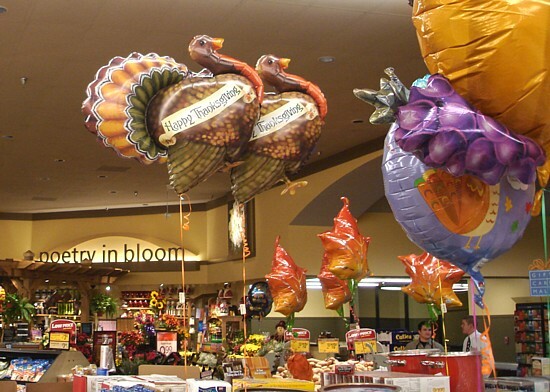 Friendly turkey balloons at my local Safeway. For this week's Ellipsis Monday Photo Shoot, Carly wants to see anything turkeyish, which is at least as valid as my interest in "pumpkin anything." After all, we are almost to Thanksgiving. Obviously we haven't cooked this year's thanksgiving dinner yet, but there are definitely plenty of turkey-related photographic opportunities these days. Let's visit my favorite Safeway, where the turkey products are currently varied and plentiful. 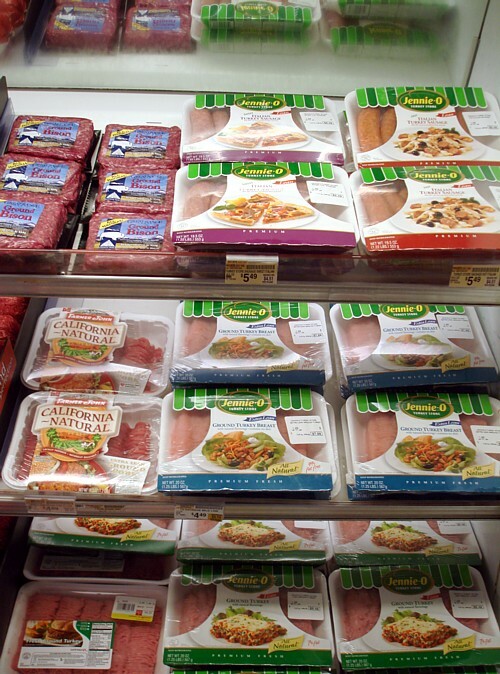 Healthy but boring turkey products. And by the way: bison. Yes, that's what I wanted. I explained that I already had a boneless roast, but wanted to supplement that with the drumsticks. I even hoped to arrange them with the roast to make it look more like a whole turkey. He chuckled. "I'd like to see a picture of that!" he said. The usual. But not this year. Okay, so he had noticed the camera, but at least he didn't seem to mind. 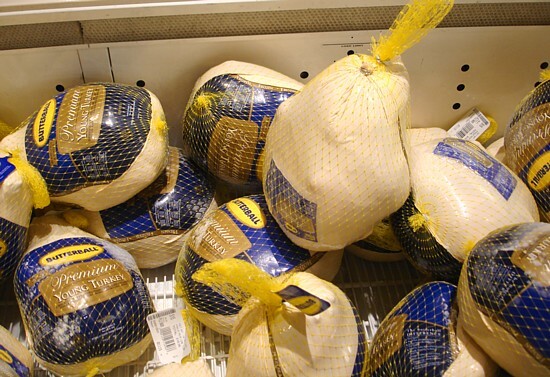 I made the rounds of the cases, photographing the different turkey options. There were the usual frozen Butterballs, which I've bought off and on for many years. There were also Safeway brand ones, which I also photographed but the picture is boring. For those who don't mind thawing and heating, but don't want to risk messing up the actual roasting, there were frozen, oven-roasted turkeys. There were also ducks, capons, turkey breasts, and lots of chicken parts. But I grabbed my drumsticks, paid for them and went home. At home: everyday turkey. And bologna. And ham. Now, I could have done the EMPS from what was already in the house, although it would have been boring. 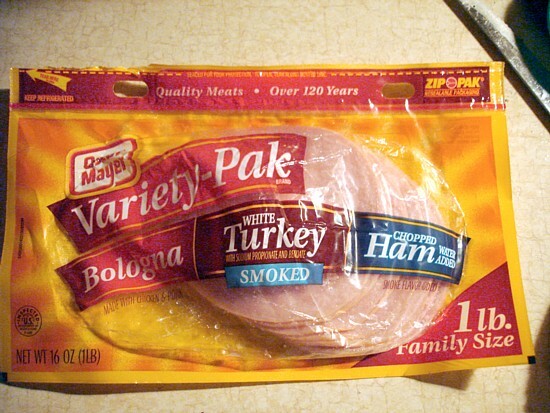 For example, there was turkey in my pack of Oscar Meyer lunchmeat. I also had a jar of turkey gravy already. But the star of our modest Thanksgiving dinner will be what my mom used to call a "turkey roll." 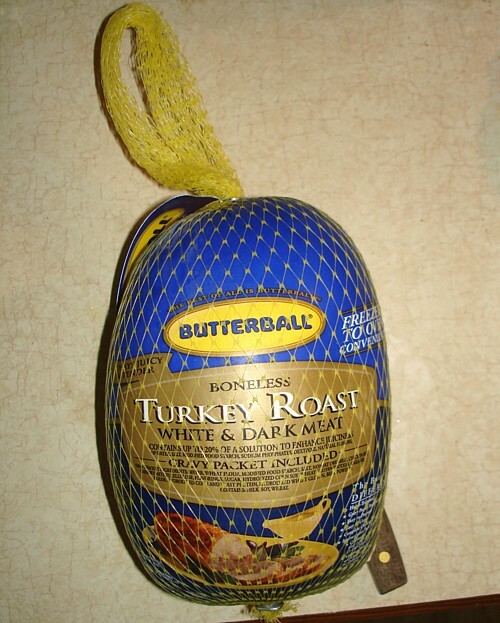 This is a Butterball brand boneless turkey roast. They mostly come in white meat only, but I prefer dark, and get the kind that has both. (John likes the white meat.) My mom made an all-white turkey roll a few times when I was a kid, including once at the summer home we used to rent each year on Lake Ontario. Both times it was extremely dry and awful, which made me shy away from buying anything like that as a younger adult. But the ones I've bought over the last several years have always been quite good. One caveat, though: in our oven, at least, it takes about an hour longer than the directions say unless I roast it at the higher temperature listed in The Joy of Cooking - or at least split the difference. So, how will that look on a bed of stuffing, flanked by drumsticks and roasted? Stay tuned! JFK in the East Room, November 23, 1963. On Saturday, November 23, 1963, the people of the United States were in shocked mourning, trying to come to terms with the assassination of John F Kennedy the day before. His body had been shipped back to Washington and funerary technicians had worked in vain to cosmetically reconstruct the top of his head. 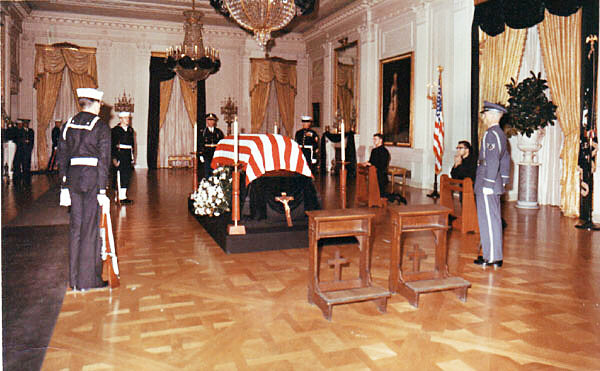 As his widow's request, the body lay in state in the East Room of the White House, which was laid out and draped in a recreation of the way it looked when Abraham Lincoln's body lay there in 1865. The casket, closed at Jackie's behest, lay on the Lincoln catafalque, the pine bier on which numerous presidents and other governmental dignitaries have been laid over the years. There was a private service in the East Room; the public one would not be until Monday, after a day of lying in state at the Capitol Rotunda on Sunday. The news of the day was about the man who had been arrested for the murder, Lee Harvey Oswald, who sneeringly denied everything; a short speech from the new President, Lyndon Baines Johnson, declaring a national day of mourning for Monday; and interviews and speculations from various people. It filled the airwaves, in the process transforming tv news forever, and inadvertently laying the groundwork for later conspiracy theories. Stores were closed; everyone stayed close to their tv. I stepped outside my family's house in Manlius on Sunday afternoon, the 24th, and was struck by the fact that nobody at all was outside: no other children, and no more than a single car going by on the main road between Fayetteville and Manlius, in five or ten minutes. For a six-year-old too young to understand the details of what was happening, the weekend was rather tedious. I didn't see the live shooting of Oswald on tv that Sunday, but did hear about it after the fact. Across the Atlantic in Britain that Saturday, America's national tragedy was big news, but not an all-consuming obsession. The BBC rearranged its schedule only slightly to accommodate the news. A new science fiction series, scheduled to premiere that afternoon at 5:15 PM, began transmission just 80 seconds late. However, because of the assassination and a series of blackouts around the country, the network reran part one of the serial now known as An Unearthly Child on November 30th. November 23, 1963 was thus the date of the first broadcast of the first episode of the first serial of Doctor Who, now the longest running science fiction series in the history of television worldwide. It was about two teachers, Ian and Barbara, who followed their most baffling student into a junkyard. They soon found themselves trapped in a blue box that was bigger on the inside than the outside, and whisked away from 1963 against their will by a brilliant but capricious, almost amoral old man who claimed to be from another planet, and his somewhat odd granddaughter. In terms of reception, it was not a terribly auspicious beginning. The initial viewership of 4.4 million people wasn't terrible for a British tv series of the time, but it wasn't very good, either, and the cultural impact that first week was minimal. The serial peaked at 6.9 million viewers two weeks later on December 7th. The next serial, now known as The Daleks, steadily gained viewership (up to 10.4 million by February) as the eponymous metal-encased monsters caught the imagination of children on playgrounds across Britain and touched off a national craze. The show's future for the next few years was assured, helped along by the gradual mellowing of the lead character into more of a hero than an antihero. But it took one more innovation to increase the show's lifespan from years to decades. 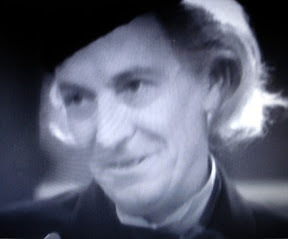 When actor William Hartnell, who played Dr Who (as he was then known in the show's credits), became too ill to continue in the role, the show's producer and script editor conceived the idea that the Doctor could renew himself, transforming into a new appearance that could then be played by a different actor. 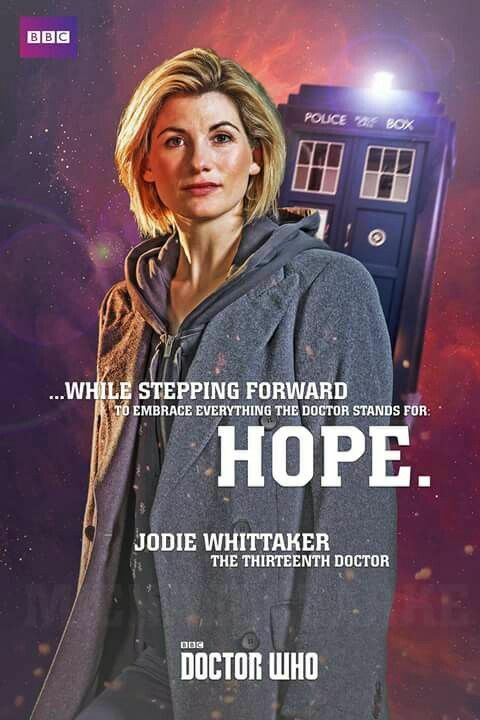 This process, which eventually became known as regeneration, made it possible for the show to survive numerous cast changes, and occasional tweaks in the overall conception of the Doctor's character. in order, in just under 8 minutes. The series has had its ups and downs over the years. It was huge in Britain in the 1960s and only slightly less so in the 1970s, but by the 1980s it was in decline in terms of viewership and respect. In the United States the show achieved only cult status on PBS, with many casual viewers primarily familiar with the character as played by Tom Baker, the guy with the long scarf and curly hair. A BBC controller placed the series an 18-month hiatus between March 1985 and September 1986. At the end of 1989 the BBC decided to give the show a "rest," which was in effect a cancellation. Aside from a few charity sketches, the only television reappearance of Doctor Who over the next decade and a half was a controversial television movie on 1996. During that period, however, the Doctor's adventures continued in multiple series of novels, in comic strips in Doctor Who Magazine, and in audio adventures on CD and occasionally radio. 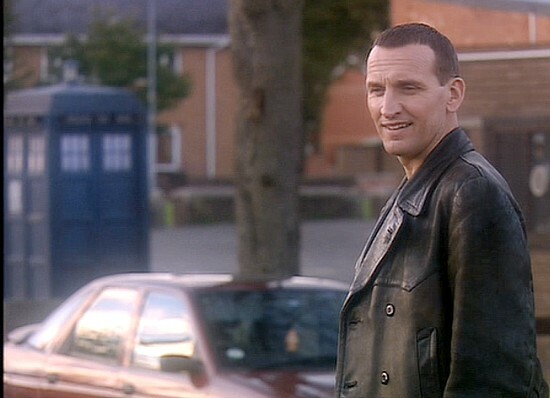 The Ninth Doctor tells Rose a little something about himself. As the years stretched out since the last television serial in 1989 and even the 1996 movie, the chances of the show returning to television began to seem remote. Enter Russell T Davies, a successful writer-producer who had made a splash with several tv series and serials, most notably (and controversially) Queer as Folk and The Second Coming. 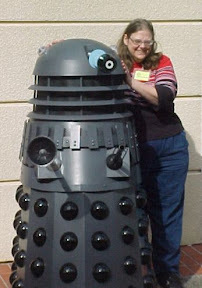 A longtime fan of Doctor Who, Davies was given the task of returning the show to the BBC on Saturday at teatime. The announcement was made in September 2003, and the revived series premiered 18 months later, on March 26, 2005. Over 10 million viewers saw that first episode. 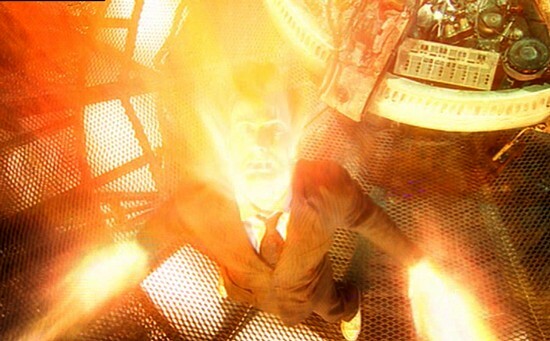 The Tenth Doctor regenerates - sort of. Not all episodes did that well, but overall the show was more popular than it had been in decades, helped along by great scripts, high production values and two highly respected actors in the lead role: first Christopher Eccleston, and then David Tennant. A new generation of children played Doctor Who vs. the Daleks in British schoolyards, and new ranges of toys, books, magazines and even food products were issued. 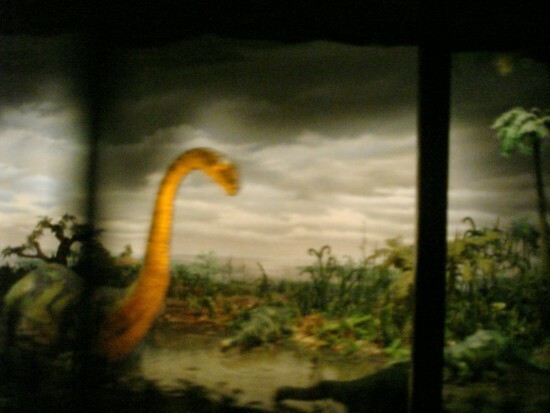 The 2008 series was so popular that it set new viewing records for the show. At the end of "The Stolen Earth," Tennant's Doctor began to regenerate after being shot by a Dalek, touched off a firestorm of wild speculation in the British press. 10.57 million viewers watched the following week as the Tenth Doctor found a way to avoid changing his face, but accidentally caused the creation of another, half-human version of himself. Now viewers anxiously await this year's Christmas special, with the maddening title of "The Next Doctor," and four further specials before Tennant's announced departure from the series. Happy 45th (and a day) Anniversary, Doctor Who! The Day the Universe Changed was a BBC / PBS tv series by science historian James Burke. 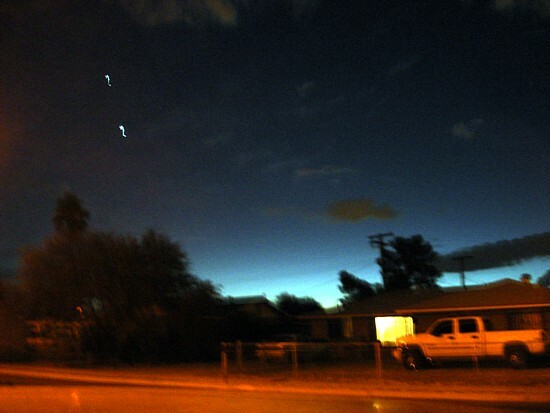 His premise was that there are particular events in history that have far-reaching and unexpected effects on the way we view the universe, a concept he has developed further in numerous books and tv programs since then. Wikipedia says that "The title comes from the philosophical idea that the universe essentially only exists as you perceive it; therefore, if you change your perception of the universe, you have changed the universe itself." In the final episode of the series, Burke predicts the democratization of knowledge (and thus power) through advances in communication technology. In other words, he was looking ahead to pretty much the online landscape we have today. It's great stuff, but only indirectly related to tonight's entry. I'm borrowing his title in reference to two particular days that did pretty much what Burke was talking about in the 1980s. The events that made them so important took place thousands of miles apart, 45 years ago this weekend. They changed our universe in completely different ways. Tonight I'll cover the first of these, and in my next entry I'll talk about the second one. 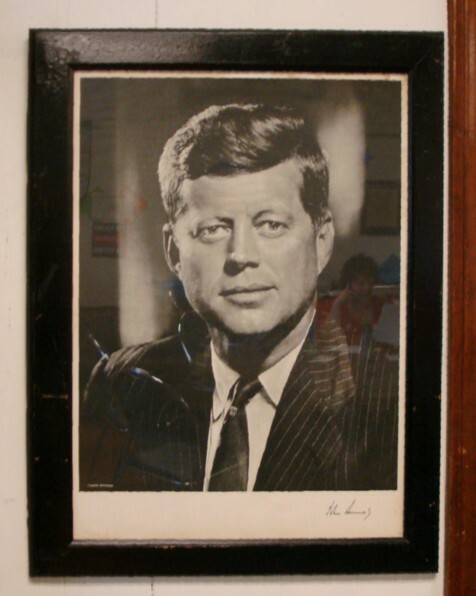 A portrait of JFK at Pima County Democratic Headquarters. You can just about make out the reflection of an Obama volunteer also. For Americans and much of the world, the date that still resonates, still matters to us, is November 22, 1963. Those of you who are old enough to remember anything from that year undoubtedly remember that day. I was only six, and didn't fully comprehend it until much later, if ever. It was the day President John F. Kennedy was shot. My mom picked me up from school that afternoon and drove me to the Hall of Languages at Syracuse University, where my dad was an assistant professor in the Speech Department. I sat in a large, empty classroom, drawing headstones until my parents were ready to take me home. To get an idea of what it all meant to adults at the time, take a look at a series of nine videos on YouTube, comprising over an hour's worth of the unedited CBS network feed from that day. The quality of the sound and picture is fair at best, and the technology is astoundingly backwards by today's standard. But once it gets going it's surprisingly contemporary in what is being reported, and emotionally riveting even today. The assassination sent shockwaves around the world, and we still feel the ripples. They rebounded on us twice in 1968, when Martin Luther King Jr. and Robert F. Kennedy were shot. We felt a weaker tremor when Ronald Reagan survived an assassination attempt. For some of us now, all these years later, there's a renewed worry of major aftershocks. In the wake of spurious claims that President Elect Barack Obama is a secret Muslim who pals around with terrorists, wants to destroy Israel, etc., a frightening number of people believe that the next President of the United States is an anti-American terrorist foreigner who should probably be killed. I doubt that many of JFK's detractors believed anything quite so spurious, but enough people from Texas hated him that Cronkite spoke about them at some length on that day. 45 years later, radio talk show hosts, right wing web sites and anonymous email forwards spread the hatred far more efficiently than the right wing groups of 1963. Precautions are taken, reports of threats and conspiracies are investigated and a few arrests have been made, but still I worry for Obama's safety. I really do. I missed Steven's Feline and Furball Friday this past week, so this time let's get it in early. (Yes, I know it's technically Saturday already.) 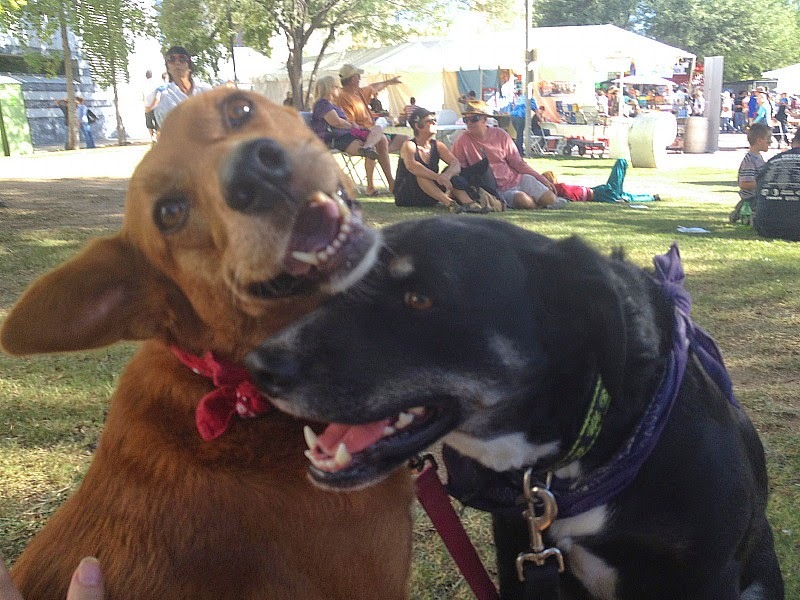 I did that big extravaganza entry about all of my dogs to date, but it was early in the week. I thought I would do another dog-oriented entry later for the meme, but by the time I got around to it I was too late. So. Anyway. 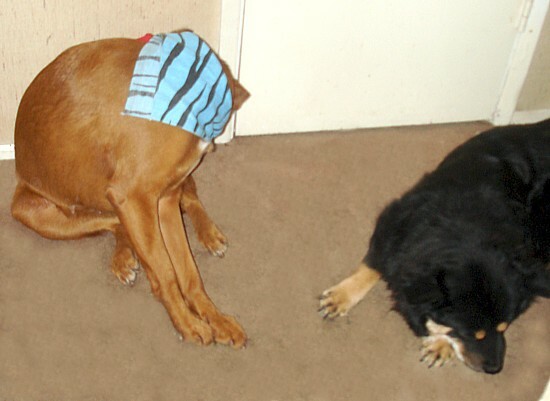 Tonight I thought I would try to stage something with the dogs. 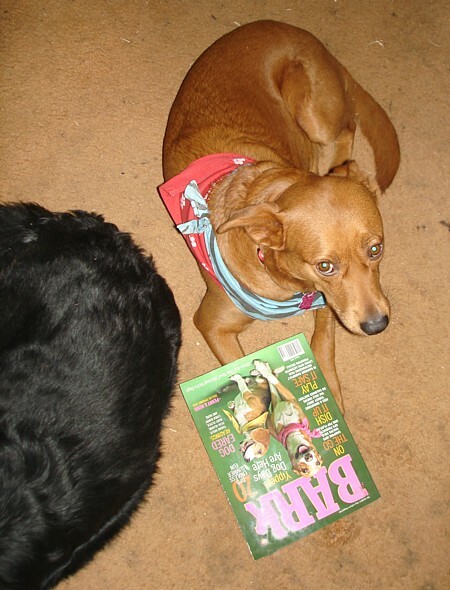 I grabbed two magazines, Bark and Doctor Who Magazine, and tried to arrange for the dogs to appear to be reading them. 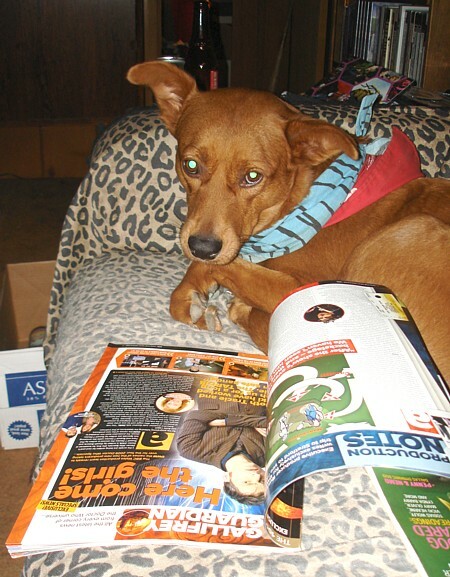 Cayenne didn't seem to mind, which lends credence to the theory that as an undercover alien, of course she knows what a magazine is. She doesn't seem to like David Tennant very much, however. I regard this as a character flaw. Either that, or she was imagining giving him a kiss. Yes, that must be it. 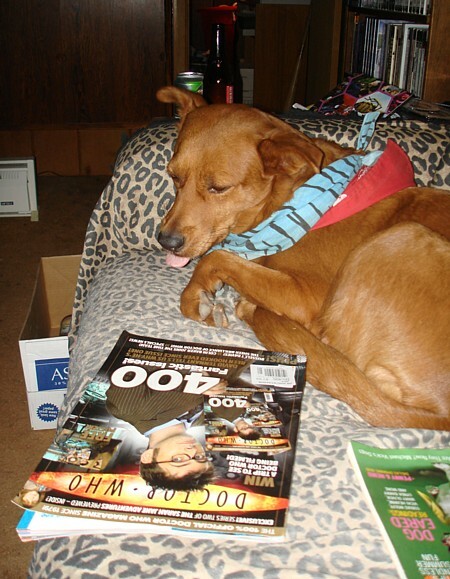 Pepper didn't want anything to do with the magazine. First she did her best to ignore the thing, and when I moved it closer to her head, she got off the couch and left it behind. 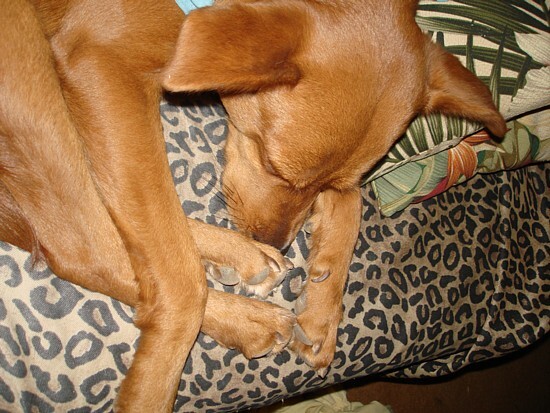 But really, Cayenne doesn't need a prop to look cute. For those who have been wondering about my job interview: I think it went well, despite one moment of unwitnessed panic. I haven't heard back yet, but I may get the job, which has nice people to work for and good benefits. The down side, aside from the half hour commute, is that there is a licensing process I would have to go through first, which would delay my employment date to at least Christmas. John and I have discussed this, and decided that it would be well worth the wait. Weekend Assignment #243: The founder of the Weekend Assignment, John Scalzi, is infamously fond of bacon, not necessarily attached to a cat. Setting aside the whole cat thing, what do you like to eat for breakfast? Extra Credit: How often do you actually eat breakfast? Since that last job ended, I've been having things like half a peanut butter sandwich or a bagel with cream cheese for breakfast, or no breakfast at all. This morning I did something extremely self-indulgent. I went and bought my first Egg McMuffin in over two months. I know: wicked, huh? It's not just a question of the carbs and calories and fat; I shouldn't have spent the money, either. But on the good side, there's good protein in the egg and cheese and Canadian bacon, which as far as I'm concerned is a traditional but misleading term for a thin, round strip of low grade ham. Do I actually have a favorite? 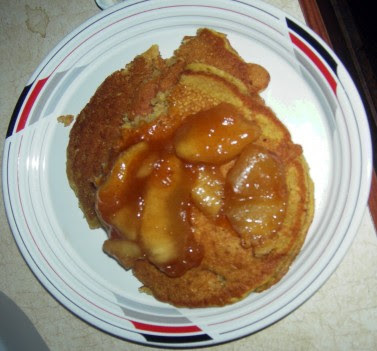 If pressed, I will probably admit that a nice stack of pancakes with some kind of fruit topping, plus bacon and sausage and perhaps one egg over easy, would be best of all. 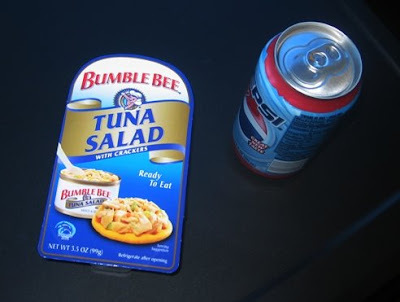 But part of the appeal of something like that is the rarity of its appearance in my actual diet. 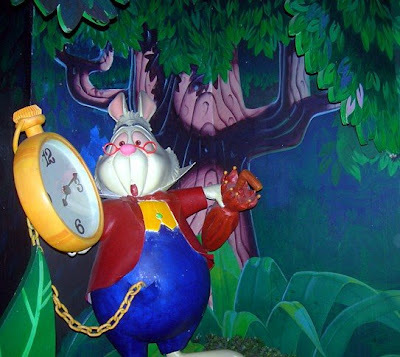 Even a daily trip to Denny's or Millie's Pancake Haus would get dreary over time. How about a whole string of 'em? When I was a kid I lived in Wichita, KS. KAKE-TV had a puppet chef called Cakeman. One of the big shows at Christmas was "Santa's Workshop,", which featured Cakeman. The guy who did Santa moved to another station and took his workshop with him. Cakeman became (I kid you not) Toyboy! My sister and I did watch Wonderama on Channel 5 whenever we could on Sunday mornings. For years, I wasn't sure whether that was a local NYC show or not, since I rarely met anyone from outside the Tri-State are (NY/NJ/CT) who had ever heard of it; as it turns out, it originated from New York, but it was only broadcast there and in five other cities (one of which was LA, which explains why my SoCal native husband and brother-in-law remember it too), so I'm going to count is as local. We have a local channel, WGN-TV, that is also a superstation. I don't know how long it was that way, but I remember being amazed at seeing the local news guys on the TV in Michigan when I was visiting once. I did know that the news was local by the way. There are three shows that I remember from the channel, let me know if you have seen them in other areas. We had Bozo's Circus, The Ray Rayner Show, and Garfield Goose. That's it for now! I hope you'll take the time to participate this week. Write about it in your blog or journal, and include a link back here. Then leave a link to your entry in the comments below. Please don't forget your links! I'll be back in a week to highlight the results. Also, I'm still running low on ideas here, so I need your input. What would you like to see as a Weekend Assignment topic? Email me your suggestions (mavarin at aol.com). If I use your topic you'll get full credit and my undying thanks. Let's hope this is the last day of me being part of that grim statistic. EMPS: Strange Brew - Electric Chocolate! Is This the Change I Signed Up For?